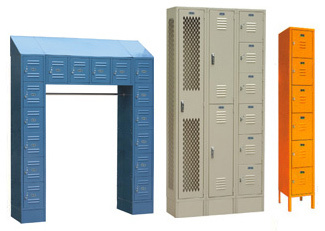 Have a set budget or just need some lockers for a short time? Save money by renting or buying used lockers. These lockers are available as special order as well as quick ship in certain sizes. Please call with your requirement so we can fulfill your needs. For all you customers who are looking to save some money we have a large selection of used lockers. They range from previously owned to cancelled orders. Our inventory is constantly changing so call us with your application and we will see if we have something that will work for you. We have a variety of lockers available for rentals. We supply rental lockers to many production companies, movie sets, and exhibit companies. If you have a temporary need for lockers let us know what you parameters are and we will find something to work for you.